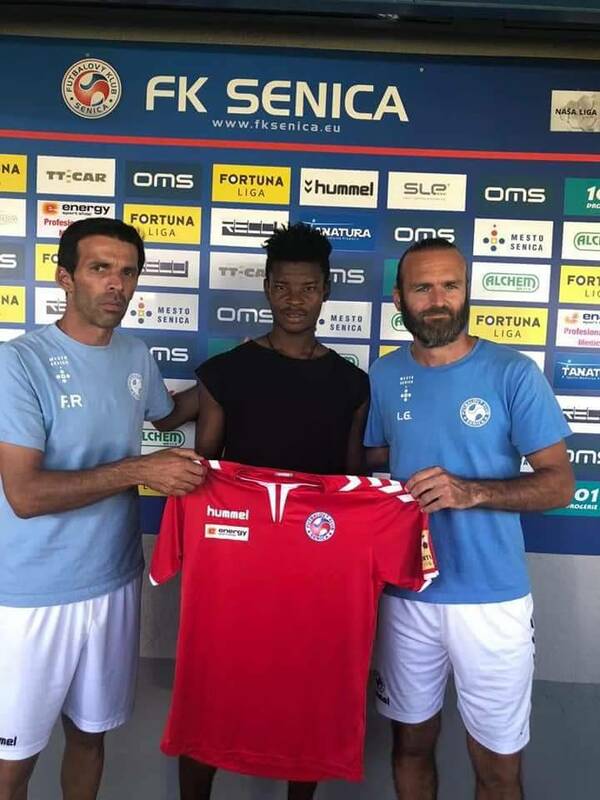 Ghanaian midfielder Edmund Addo has completed a move to Slovakian top flight side FK Senica in the ongoing transfer window, GHANASoccernet.com can exclusively report. Addo, 18, penned a three-year deal with the Red and White lads after undergoing a successful two weeks trial. The attacking midfielder joins the Štadión FK Senica outfit from Ghanaian lower division side Mamprobi Mighty Cosmos. In an interview with the club's website after signing the deal, Addo expressed his desire to continue developing at the club. "I love this club, I have been able to show what I know best, to play football, the conditions for training in Senica are high, and I can improve further." Addo was a trialist at Ghana Premier League side Sogakofe WAFA.